Homes in Brentwood exist in a thriving luxury real estate market that has done nothing less than advance and grow in popularity for years and years. Prices did dip in 2009 and towards the end of 2009 into 2010 they did start to rebound. Those who dream of a home on the beach, a sprawling estate close to shops and dining, or a ranch in a California canyon often find that the exclusive Brentwood real estate market has a home for them. Homes in Brentwood most often come with well-manicured lawns and gleaming long driveways, since this is a community where people put great care and money into their homes. While some luxury Brentwood estates are gated, there are plenty of luxurious single-family homes that both look and feel more accessible and inviting to neighbors and visitors alike. You will find in your search for your dream home, that there are all kinds of homes in Brentwood. Most people choose homes in Brentwood for their ease of access to everything that Los Angeles has to offer. Living in Brentwood but also allows a sense of privacy from the tremendous energy of the city. Brentwood is a small community, and people do get to know each other fairly well For outdoor enthusiasts, homes in Brentwood offer great access to both the beach and the mountains. It is easy to have a picnic breakfast on the beach as it is just a few minutes away, and then enjoy lunch in Beverly Hills to get a whole different perspective on things. Very few other places offer this type of possibilities. 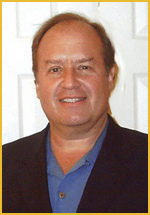 Richard Chernock is the realtor who can help you find your way among homes in Brentwood. When looking through the wide range of high-end homes in Brentwood, be sure to call on him.